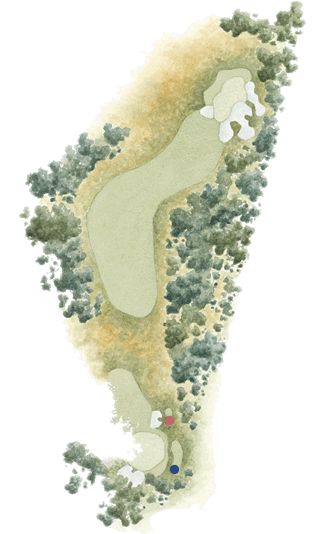 The eleventh hole tee shot looks uncomplicated running down hill to a blind landing area. There are no sand hazards to drive into but a weak fade from the tee can end up in the thick tea tree that guards the ideal line to the green. The further and safer left the player goes off the tee the more difficult the angel of approach is to one the narrowest green on the course.